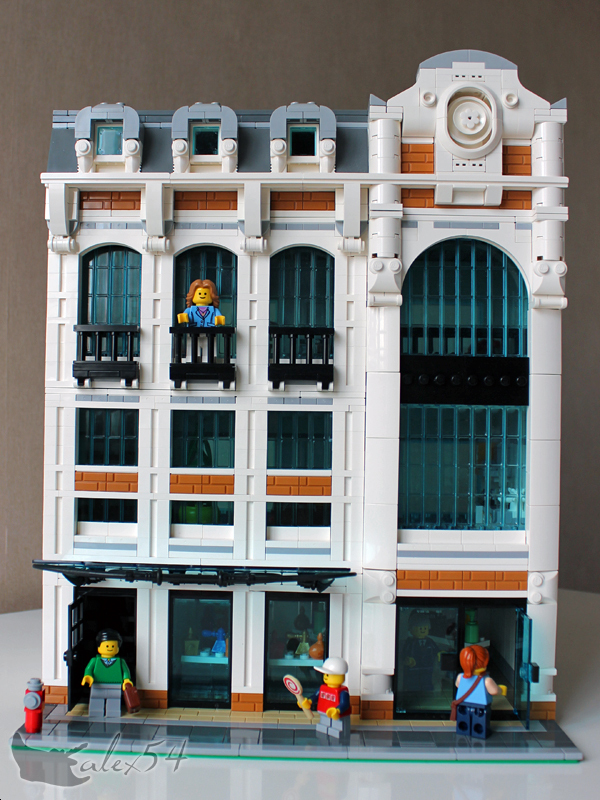 Brick Town Talk: Smells Like Success - LEGO Town, Architecture, Building Tips, Inspiration Ideas, and more! Aroma Avenue - (BTT) Despite having taken many trips on public transportation that suggest otherwise, people are willing to shell out big bucks to smell like something more appealing than an armpit - thankfully this Perfume Shop will make sure you are stimulating the olfactory glands of your peers in all the right ways. Virtually anyone even remotely famous seems to have his or her own signature scent, so if you've always dreamed of smelling like a Kardashian (hopefully not, but this author is not one to judge), then look no further. On the upper floors of this art nouveau stunner is an apartment absolutely flooded with light thanks to the oversized windows of the facade and skylight on the roof.